North Korea has deployed around 20 helicopters at two bases near South Korea’s Baeknyeong Island in the West Sea, according to a government source here. They include attack helicopters that are capable of engaging targets on the ground. Baeknyeong Island is South Korea’s northernmost island that lies just south of the Northern Limit Line, the de facto maritime border with North Korea. The North has deployed the attack and transport helicopters at air bases since May, the source said. “They seem to have been put there independently of any military exercises,” the source added. The choppers are upgraded versions of Mi-2s as well as Mi-4 and Mi-8 troop carriers. But some are armed with heavy machine guns and rockets. The deployment is believed to be part of a strategy targeting the South Korean islands that would also involve hydrofoils. 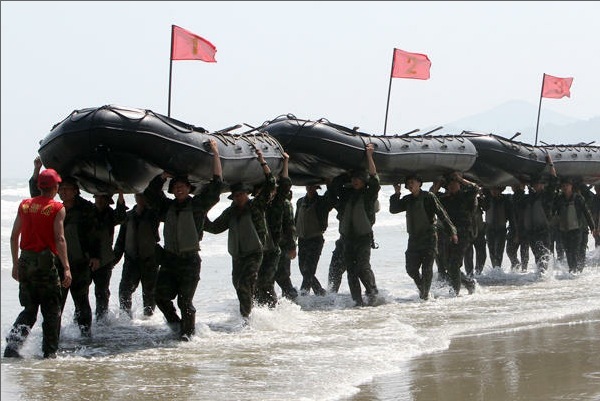 After Kim Jong-un took power at the end of last year, North Korea deployed rocket launchers, hydrofoils, Mi-2 helicopters and fighter jets on the western coastline and conducted military drills which appeared to prepare for an invasion of the South Korean islands. The deployment of the helicopters seems to be a response to South Korea deploying AH-1S Cobra attack helicopters and multiple launch rocket systems on the West Sea islands. 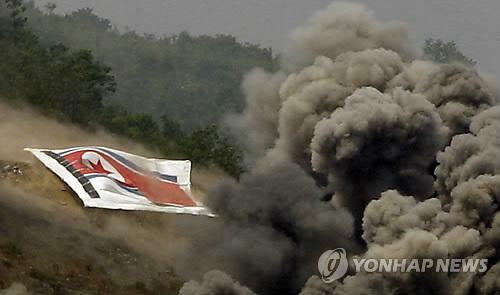 The South Korean military is ready to strike back with Cheonma surface-to-air-missiles or deploy KF-16 fighter jets if the North mobilizes a large number of choppers. The South Korean military also plans to bolster anti-aircraft weapons stationed on the West Sea islands if the ones already deployed there are deemed insufficient to fend off a North Korean invasion. SEOUL, July 18 (Yonhap) — South Korea’s leading presidential contender Park Geun-hye said Wednesday that previous deals with North Korea should be respected, signaling she could take a softer approach toward the communist nation if elected in the December election. 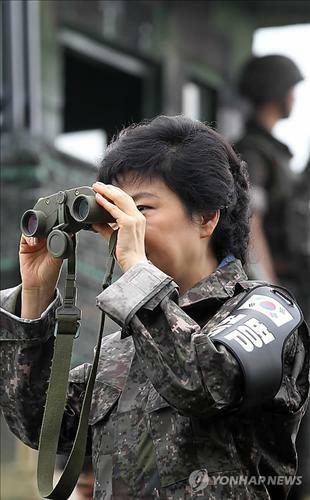 Park made the remark during a rare trip to the heavily fortified border with the North. North Korea has routinely pressed South Korea to honor agreements reached at two previous summits in 2000 and 2007 and made Seoul’s implementation of them a key condition for better ties. The deals have been in limbo as relations between the two Koreas have been at one of the worst levels in decades after current President Lee Myung-bak took office in early 2008 with a harder-line approach to Pyongyang. Park said that previous inter-Korean promises “should be kept,” as part of efforts to build confidence between the two divided countries. Still, she said that deals reached at the 2007 summit should “win a parliamentary endorsement” before being carried out as their implementation requires a lot of money and involvement of private companies. The first summit paved the way for the two Koreas to ease military tensions and begin economic cooperation after decades of hostilities. In 2007, the leaders of the two Koreas also produced a deal calling for the South’s massive investment in the North’s key industrial sectors, including shipbuilding and tourism. South Korea is the No. 1 shipbuilding nation in the world. Park’s rare trip to the border came more than an hour after North Korea announced that its young leader Kim Jong-un had been awarded the title of marshal in the latest promotion following the December death of his father, long-time leader Kim Jong-il. As the inner group of the new North Korean leadership is inaccessible, it is impossible to know how and what decisions are made in the North. We only learn about them after they are officially announced. We struggle to understand what led to the decisions and to figure out what the meaning of them is, often without reliable evidence and only through speculative deduction. Few people outside the leading group knew about the death of Kim Jong-il in December before it was announced. Before Pyongyang’s July 16 announcement, nobody in the South or elsewhere knew there would be a sudden dismissal of Vice Marshal Ri Young-ho as the chief of the KPA General Staff, who was designated by the late leader to solidify military support for Kim Jong un’s succession. When Pyongyang announced at 11 a.m. July 18 that there would be “an important announcement” to be made at noon that day, nobody knew what it would be. President Lee Myung-bak called a special national security meeting to watch for any possible emergency development in the North. He may have been given a wrong assessment. Following the news of a military power shakeup in Pyongyang, Lee was quoted as saying: “From various indications, we know unification is not very far. Unification indeed is nearing.” The insinuation of this statement and its timing turned out to be hollow. In the meantime, a familiar practice of speculation began. Some believed the North might announce a further change of the power structure. Others thought it might declare a plan for a third nuclear test or other military provocations. There was also concern about the impact of the unknown announcement. To the disappointment of those who were looking for clues leading to the unraveling of the North Korean regime, the announcement was about adding a new title of “marshal of the DPRK” to Supreme Commander Kim Jong-un, who was a general while some of his subordinates were vice marshals. Kim holds four other titles: first chairman of the National Defense Commission (NDC), first secretary of the Workers’ Party, chairman of the party’s Military Central Commission (MCC), and standing member of the five-member Politburo. Kim’s promotion to marshal was recommended concurrently by all these three commissions and the Presidium of the Supreme People’s Assembly. We still don’t know the real reason for firing Ri, who was a politburo member and the vice chairman of the MCC. But most believe it was not because of a health problem. Ri and Vice Marshal Choe Ryong-hae, director of the General Political Bureau, a member of the NDC and also vice chairman of the MCC, were regarded as two pillars of power supporting Kim’s system. We rely almost exclusively on open sources and their analyses to understand what’s going on inside the North. We determine the power ranking of those closely associated with the leader by spotting where they stand in line for group photos and even from the order of names in the list of a state funeral committee. We observe who accompanies the leader and how often for visits to military units and other places. We follow membership and ranking of civilian and military leaders in key organizations. Since Kim Jong-un became the leader of the North, there have been some significant changes in the power relationship between the competing agencies, shifting toward a balanced position between the party and the military. Under the military-first policy of Kim Jong-il, KPA generals were given more political and economic benefits than the civilian leaders. Some observers are looking for positive signs revealing that North Korea is moving to reform its policy and moderate its behavior. They are inclined to believe Kim Jong-un is shifting from a military hardliner policy of confrontation to an economic policy of feeding the people. These observers make a plausible argument that with the latest development, Kim has completed the consolidation of his power base to rule in his own style, without pressure from a particular individual or group. During the seven months Kim Jong-Un has been in power, many suspect that his leadership has been unstable because of his unproven leadership ability, young age and inexperience, lack of respect from the military establishment and the North’s chronic economic difficulties. Some of them still believe he may not last very long. But we don’t know. North Korea specialists are like “blind men trying to assess an elephant.” As an observer, I must confess that I am also a blind man, despite having visited the North 19 times and met with North Koreans for more than a decade elsewhere in the world. I still don’t know what the North Koreans have in mind. I read writings by other blind men mostly for amusement and to stir my imagination. From a historic perspective, North Korea was always part of a dynasty ― except for the 36 years of Japanese rule. The people survived several cycles of “seven years of famine,” fought back massive invasions by the Mongols and the Japanese and overcame a fratricidal war. The North is not likely to collapse soon. What’s your take? The writer is a research professor of the Ilmin Institute of International Relations at Korea University and a visiting professor at the University of North Korean Studies. Reach him at tong.kim8@yahoo.com. Choe is believed to be the right-hand man of Jang Song-taek, the uncle and patron of the young North Korean leader. He made his career in the Workers Party rather than the army. After being appointed director of the bureau, Choe repeatedly clashed with Ri, who came up as a field commander, prompting Choe to keep Ri under close watch and apparently triggering an internal probe targeting the army chief. The military had grown tremendously in power under former North Korean leader Kim Jong-il’s “songun” or military-first doctrine, and military heavyweights like Ri who grew in stature during this period were considered threats to the young North Korean leader. SEOUL, July 19 (Yonhap) — South Korea’s prime minister said Thursday it is too early to judge whether North Korea will move toward reform and openness, despite Pyongyang’s recent embrace of American cultural icons. North Korea’s state media showed Mickey Mouse and Winnie the Pooh taking the stage during a concert for new leader Kim Jong-un earlier this month, a rare move by the isolated nation that has tried to keep a tight lid on American culture. Performers danced while clips of Disney movies such as “Beauty and the Beast,” “Snow White” and “Dumbo” played on a paneled backdrop for the show in Pyongyang. Kim has also made a spate of inspection tours that are closely related to his people’s livelihoods in recent months, including an amusement park, a zoo and shops. Yoo Ki-june, a lawmaker of the ruling Saenuri Party, said Kim’s moves could be a message to the United States and China that he is interested in embracing reform and openness. Prime Minister Kim Hwang-sik said the North’s new leader has displayed moves unseen in the North in the past. “Still, it’s too early to judge whether there will be a substantial change and whether (North Korea) will move toward reform and openness,” Kim said in a parliamentary session. Kim said South Korea is making efforts to ensure the North abandons its nuclear weapons program and moves toward reform and openness. Kim also said China and the international community could play a role in nudging North Korea toward such openness. Last year, Kim Jong-il, the late father of the current leader, toured major economic facilities in China, triggering speculation that the senior Kim was interested in following in Chinese footsteps. China has been trying to coax its impoverished ally to embrace reforms similar to those that lifted millions of Chinese out of poverty and helped Beijing become the world’s second-largest economy. 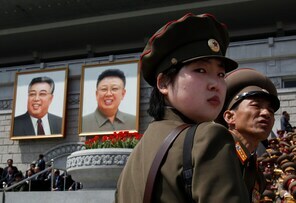 North Korea ruled out any policy changes following the December death of long-time leader Kim Jong-il. Separately, Prime Minister Kim also said that a controversial military pact with Japan should not be repealed despite public criticism for cooperating with the former colonial ruler. The South Korean Cabinet approved the pact behind closed doors, drawing public anger and harsh bipartisan opposition from the National Assembly. The resistance eventually forced the government to delay the signing of the deal with Tokyo at the last minute. “If we inform people of the precise content of the military pact, they will think it is helpful and necessary for the national interest,” Kim said, while saying “No” to a demand by an opposition lawmaker that the government scrap the accord. Earlier Kim and Foreign Minister Kim Sung-hwan offered an apology for not informing the National Assembly of the agreement, but the main opposition Democratic United Party called for the dismissal of the prime minister over the government’s mishandling of the agreement. “I’m not clinging to my post but I think it’s not appropriate for a prime minister or foreign minister to step down at this moment,” Prime Minister Kim said. BEIJING — North Korea on Wednesday named its young leader, Kim Jong Eun, “marshal” of the military, a preeminent job title that analysts say is designed to reinforce his absolute power and warn off members of senior elites who might question it. The title appears redundant, because Kim already served as the military’s supreme commander. But the timing of the announcement is significant, outside experts say, coming just two days after the North dismissed a top army leader — perceived hard-liner Ri Yong Ho — and perhaps doubling as a message about Kim’s willingness to shape the 1.2 million-strong military as he sees fit. What Kim will do with the military remains a fiercely debated question in Seoul and Washington. The issue also holds deep implications for an impoverished country of 24 million that channels its scant resources toward weapons and nuclear technology. In power for seven months now, Kim has given no clear sign that he will de-emphasize the military or push for the economic reforms that his father and grandfather long resisted. But some experts see a pattern emerging as Kim shuffles the military leadership: He sidelines hard-liners and replaces them with Workers’ Party bureaucrats — precisely the group that had been marginalized under the military-first policy of his father, Kim Jong Il. Still, Lankov and others cautioned that the changes might not indicate an actual policy shift. Since Kim Jong Il’s death in December, North Korea has offered the outside world conflicting evidence that a shift is underway. The government infuriated its neighbors by launching a rocket, but it also admitted to its own people, in a rare moment of transparency, that the launch had proved a dud. Kim Jong Eun gave two public speeches — something his reclusive father never did — but used them mostly to recite familiar slogans about military power. New apartments are rising in Pyongyang, but recent visitors to the country speak of 19th-century conditions in the vast rural areas — mostly barren land, where oxen are the primary mode of transport. The picture of Kim’s intentions could become clearer in coming months, analysts say, now that he has his own team of leaders in place. The surprising dismissal of Ri on Monday was attributed to “illness” by the North’s state media, but outside experts interpreted the move as a firing. By booting a senior official whom his father had appointed to oversee the hereditary power transfer, Kim Jong Eun “kicked off the training wheels,” Scott Snyder, of the Council on Foreign Relations, wrote in a blog post. Some of the most notable shuffling happened in April at a major national conference. Aside from Kim, who was given a handful of the supreme titles held by his father and grandfather, the clear winner was Choe Ryong Hae, a mid-level bureaucrat who emerged with across-the-board power that brought him into the Kim family’s inner circle. Choe was also named a vice marshal in the military, unprecedented for a civilian in the ­military-first era, according to Luke Herman, a North Korea leadership expert. Even before Wednesday’s announcement, there was little reason to doubt Kim’s No. 1 position in military, analysts say. But he officially still held the rank of general, which technically left him below a handful of “vice marshals,” including Ri. Only Kim’s father and grandfather have held military ranks higher than marshal. Founder Kim Il Sung was named generalissimo in 1992, and Kim Jong Il was awarded the title posthumously. 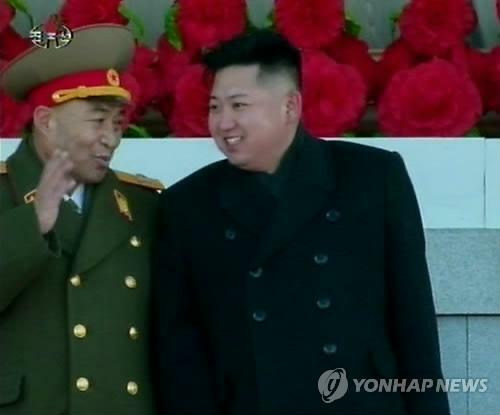 Outside analysts called Monday’s removal of the North Korean general closest to Kim Jong Eun the first major power play of the dictator’s young regime, countering earlier media reports from Pyongyang that the official’s ill health had sparked the move. Early Tuesday, the official Korean Central News Agency reported that Hyon Yong Chol was named a vice marshal of the Korean People’s Army, one of the posts 69-year-old Ri Yong Ho had held. The change in military chiefs—from a powerful figure known close to Mr. Kim’s father Kim Jong Il to a little-known, though decorated, officer—appears to be a sign that Mr. Kim is exerting more control of the military via his regime’s political party, said political analysts, professors and other North Korea watchers. The change is the most significant in the North Korean hierarchy since Mr. Kim took power after his father’s death in December. In another move that now also looks like an attempt to corral the military, Mr. Kim three months ago gave a senior political figure, Choe Ryong Hae, a position on the National Defense Committee, the most powerful organ in the North’s government, and a vice marshal title. 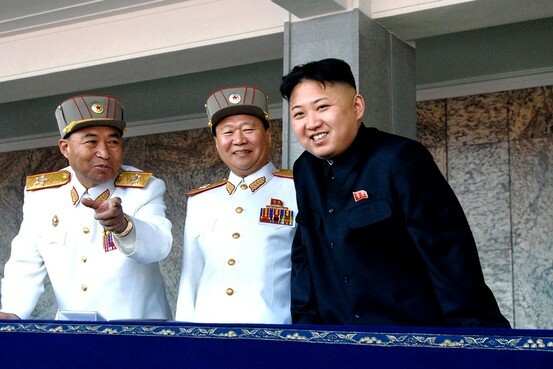 Associated Press Mr. Kim, right, with Mr. Ri, left, and military official Choe Ryong Hae. In a country where all economic decisions derive from a policy known as “songun,” which means “military first,” the appearance that the military’s power is being diminished raises the prospect, though seemingly small at the moment, for significant change. “Up to now, the military has been the major obstacle to any bold moves in North Korea,” said Moon Chung-in, a South Korean political scientist and engagement advocate who attended the South’s two summit meetings with the North in 2000 and 2007. The State Department on Monday played down the significance of personnel changes in North Korea and aired skepticism that any major policy changes were under way. “Changes in personnel absent a fundamental change in direction mean little,” said State Department spokesman Patrick Ventrell. Still, a number of former U.S. officials who have tracked Kim Jong Eun said they are detecting some potentially profound shifts in North Korea, even if they are skeptical that a cultural revolution is embracing the country. At the very least, these former officials said, Mr. Kim is further consolidating power and displaying less paranoia than his father did. More optimistic analysts said they believe he could end up surprising the West with his willingness to engage and initiate some overhauls. China, North Korea’s economic benefactor and closest political ally, has made no comment on the shake-up and its state media have carried bare-bones accounts about it. The North’s news agency announced Mr. Ri’s fall from power early Monday with only a three-word elaboration—”for his illness.” But analysts pointed to a sizable amount of evidence that Mr. Ri, who was close to the Kim family and perceived to have had a brother-like relationship with the late Kim Jong Il, had been purged from power. Among that evidence, Mr. Ri has appeared healthy in recent photos and attended an official event with Mr. Kim last week. In addition, North Korea’s elder statesmen and elite tend to hold their titles until death, with aides taking their duties if bad health incapacitates them. In addition, the North’s Politburo, which approved the removal of titles, met on Sunday, which is rare. And the absence of elaboration or praise of Mr. Ri’s 52-year military career by the North’s media is considered an embarrassment, or loss of face, in Korean tradition. The new military leader, Mr. Hyon, was appointed a general of the Korean People’s Army in late September 2010 at the same time as Kim Jong Eun and Kim Jong Il’s sister, Kim Kyoung Hui, and three others. Of the six who were appointed then, he was one of two with a military background. Mr. Hyon that day also joined the Workers’ Party central committee, a group of around 100 people, along with Mr. Kim. In North Korea’s system, the appointment of a military person to a high-level political post is typically a sign of bigger things to come. After the elder Mr. Kim’s death in December, Mr. Hyon was also appointed a member of the roughly 300-person funeral committee. In the list of members, seen by some analysts as an unofficial ranking of power, he was mentioned around 80th. The younger Mr. Kim was mentioned first and Mr. Ri was mentioned fourth. Mr. Hyon is relatively little known to outsiders and has rarely been mentioned in the North’s official state media. He first appeared in North Korea’s media in February 2007, when a report described how an army unit he led was awarded the “Order of Kim Il Sung,” one of the highest honors in the North’s military in January 2007. The report didn’t say why Mr. Hyon’s unit won the award. Since Mr. Kim’s death, the transition of power in North Korea has appeared smooth to the outside world, though the new regime has had little interaction with foreigners and limits information. It angered several nations in April by firing a long-range missile, in what it said was an attempt to launch a satellite into space. The rocket failed shortly after liftoff. Mr. Kim, since shortly after the mourning period for his father, has worked to create an image that is like that of his grandfather, North Korean founder Kim Il Sung. He has given two long speeches in public, something his father never did as North Korea’s leader, and, like his voluble grandfather, is often photographed shaking hands, clasping arms and even hugging people. At the same time, Mr. Kim has taken steps to solidify his grip on power and to appear fully in control, compensating in the view of some analysts for his young age, believed to be 28 or 29. Over the past two weeks, Mr. Kim has been photographed at three events in the company of a young woman who hasn’t been identified by the North’s media. That has fueled speculation that Mr. Kim has married or is depicting himself that way to appear older with a stable life. Until Monday’s announcement, Mr. Ri had been considered one of three people—along with the elder Mr. Kim’s sister and her husband—outsiders view as protecting the younger Mr. Kim from potential challengers. Immediately after the announcement, the North’s news agency released a story describing a letter Mr. Kim wrote to a unit of the military’s internal-security forces expressing thanks for its role in multiple construction projects. The Korean-language version of the report carried the letter itself, ending with Mr. Kim’s name and his title as supreme commander of the North Korean military. Mr. Ri’s influence became clear to outside analysts in 2003, when he was given several political titles and appointed commanding officer of the Pyongyang Defense Command, which is responsible for the defense of the North Korean capital and, just as importantly from a power standpoint, the Kim family. He picked up several other political titles in 2007 and 2009. At the end of an October 2010 leadership conference where the younger Mr. Kim was first introduced to the North Korean public and the world, Mr. Ri sat between the two Kims in a photograph of the participants in the event. A few days later, he was the highest-ranking person to speak to a crowd of tens of thousands at a military parade in downtown Pyongyang that the two Kims attended. Mr. Ri was born in October 1942 and was about 18 months younger than Kim Jong Il. The two were childhood friends, according to some biographical accounts. Mr. Ri’s father was a military colleague of Mr. Kim’s father, Kim Il Sung, and the two grew up around each other. Mr. Ri walked alongside Mr. Kim’s funeral hearse. “A meeting of the Political Bureau of the Central Committee of the Workers’ Party decided to relieve Ri Yong-ho of all his posts for his illness,” the North’s Korean Central News Agency said in a brief dispatch from Pyongyang. The media said Lee was dismissed in the party’s Sunday meeting as a member of the Presidium of the Political Bureau, a member of the Political Bureau of the Central Committee of the party and a vice-chairman of the party’s Central Military Commission. But the KCNA did not elaborate on whether Ri also lost his position as the army’s chief of the General Staff or whether a successor has been selected for the outgoing official. The 70-year-old Ri, who rose to the ranking positions in the Kim Jong-un regime, was previously known as a key figure who helped Kim seize control of the military following the death of his father and former North Korean leader Kim Jong-il last December. Ri is believed to have been one of the most influential military figures in the communist country, having risen from obscurity as Kim Jong-un started to be groomed to become the leader around 2009. He became the North Korean army’s vice marshal and the vice-chairman of the Central Military Commission in 2010, one year after he took the position of the army’s chief of General Staff. He was one of eight top officials, including Kim and Kim’s uncle Jang Song-thaek, who escorted the funeral coach of Kim Jong-il last December. Ri has often appeared next to the new leader during the young leader’s military inspection visits and other official occasions. While the dismissal heralds a major change in the North’s military power structure, some analysts pointed out the removal could be politically motivated rather than a result of Ri’s illness. “We cannot rule out the possibility that the army chief of the General Staff Ri Yong-ho was dismissed on account of Kim Jong-un’s unsatisfactory military grip or as a result of a power struggle in North Korea,” said Chang Yong-suk, an analyst at the Institute for Peace and Unification Studies at Seoul National University. A NATURALISED New Zealander has been arrested in South Korea on suspicion of spying for North Korea after secretly being filmed meeting with an agent from that country. South Korea’s Yonhap news agency reported a 56-year-old man and a 74-year-old man were arrested in early May on charges of collecting military intelligence for North Korea. The Chosun Ilbo, one of South Korea’s largest newspapers, reported that one of these men known only as “Kim” is a Korean-born New Zealand citizen. The other man is known as “Lee”. A Ministry of Foreign Affairs and Trade spokeswoman confirmed a New Zealander has been arrested in South Korea and that consular assistance has been offered to the man. A police statement issued to Yonhap said the two men had been arrested for allegedly taking instruction from a North Korean agent while in the Chinese city of Dandong, along the North Korean border, in July last year. Police say they have footage of the pair meeting with the agent and a statement from “Kim” saying he had received an order from North Korea, Chosun Ilbo reported. It’s also alleged one of the men passed equipment capable of disturbing Global Positioning System (GPS) signals and intelligence on high-tech military equipment to the other accused. It was not immediately clear whether the equipment and information was passed to the North Korean agent, Yonhap reported. The 74-year-old was reportedly sentenced to life in prison on a separate espionage charge in 1972, though he was released on parole in 1990. Still, he retains his allegiance to North Korea, according to the police statement issued to Yonhap. The arrest of the alleged spies coincided with North Korea’s jamming of GPS signals, a satellite-based navigation system widely used by planes, ships and the military as well as in vehicles. North Korea revised its constitution to state that the accomplishments of former leader Kim Jong-il turned it into a “nuclear power and invincible military superpower.” There is no other country in the world that identifies itself as a nuclear-armed state in its constitution. A closer look shows that the North Korean constitution is a joke. A country’s constitution sets out the rules for government and guarantees the basic rights of its people. But the North Korean constitution stipulates in its preface that it is a means of legitimizing the ideology of nation founder Kim Il-sung. It therefore represents neither the country nor its people but is merely a tool to support the power of its dictator. The revision merely changes some references to include his son Kim Jong-il. It hails Kim Il-sung as the great state founder, progenitor of socialism in the country and eternal creator of the regime’s “juche” ideology of self-reliance. It now also exaggerates the accomplishments of Kim Jong-il. Nothing will change simply because North Korea claims in its constitution to have nuclear weapons. The North has been making that claim since its first nuclear test in 2006. By doing this, it simply admits that it violated an inter-Korean agreement reached in 1990 to denuclearize the Korean Peninsula, as well as the joint statement signed on Sept. 19, 2005 where it agreed to scrap its nuclear weapons program. North Korea has habitually scrapped any concession it made and raised new demands while pretending to seek progress in nuclear disarmament talks, sending the whole process back to square one. This has resulted in a complete loss of trust and in isolation from the international community. But Pyongyang is flaunting its nuclear program as it was some sort of major accomplishment when it is the overriding cause of all its problems. New leader Kim Jong-un may believe this is necessary to consolidate his grip on power, but the people of the North will soon find out how absurd that strategy is. There are concerns about the ramifications of what the leader of the U.S. special operations command in South Korea said at a panel discussion in Tampa, Florida, on May 22. Brigadier General Neil Tolley, to an audience of hundreds of people at the Special Operations Forces Industry conference, discussed the challenges the United States faces determining what is inside North Korea’s many secret tunnels. Freelance combat reporter and technology writer David Axe was among those listening to the general. U.S. military officials are rejecting a report that U.S. military commandos have been parachuting into North Korea to gather intelligence on Pyongyang’s underground military installations. The Tokyo-based political journal The Diplomat carried a report on Monday alleging that a senior U.S. special operations commander revealed the purported commando program at a conference in Florida last week. U.S. Defense Department press secretary George Little told reporters Tuesday that the report misquoted Army Brigadier General Neil Tolley. Little said the United States works closely and on a daily basis with its allies in the region to develop information on North Korean intentions and capabilities. 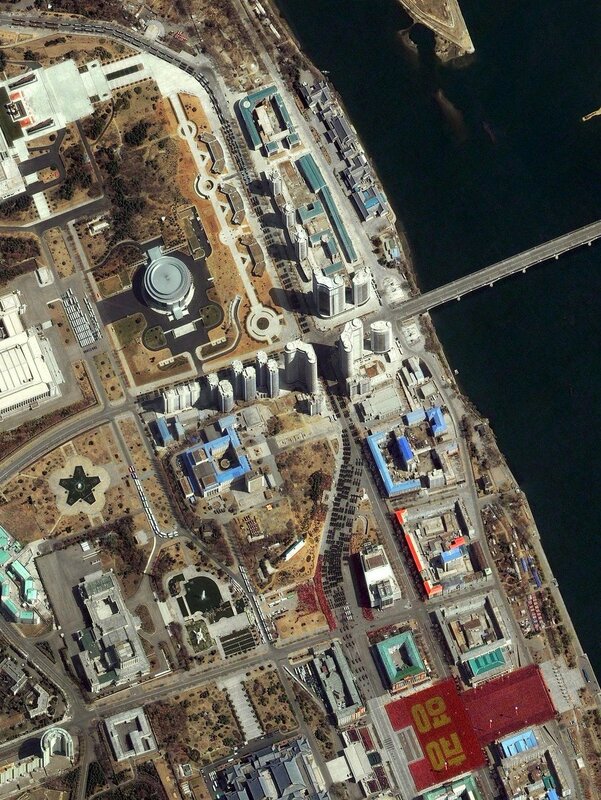 The Diplomat quoted Tolley as saying that U.S. and South Korean commandos were taking part in the reconnaissance mission, which it said is aimed at uncovering information on “thousands of tunnels” built by Pyongyang since the Korean War. Withington said it is well-known that North Korea uses tunnels to hide its sensitive military operations. But he said “at no time” have U.S. or South Korean forces parachuted into North Korea to conduct special reconnaissance.